Avery Weigh-Tronix Not Legal for Trade. 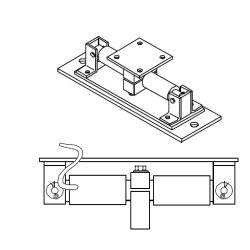 BWB series includes: A 350-ohm full-bridge, DEBWB double-ended Weigh Bar with 25-ft cable mounted in a bracket assembly. When combined with junction box, interface cable and indicator & properly installed, accuracy of at least .25% should be attainable. Epoxy paint. should be attainable. Include epoxy paint. DEBWB series includes: a 350-ohm full-bridge, double-ended Weigh Bar with 25-ft cable mounted in a bracketassembly. When combined with a junction box, interface cable and indicator and properly installed, an overall accuracy of at least .25% should be attainable. Prices include epoxy paint.